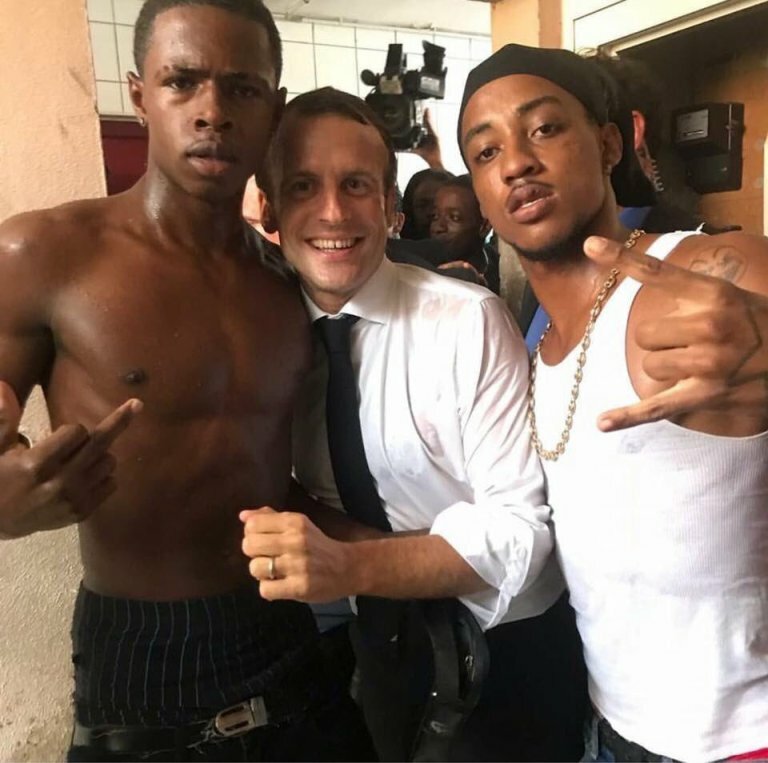 As French Despot Macron continues gassing and maiming the French people, he has withdrawn France's Ambassador from Rome alleging Italy has been supporting the French People's push for democracy. The Yellow Jacket protest against the Macron regime are continuing, every weekend, since starting last year. At the same time Macron is condemned by an overwhelming majority of French people, he is continuing to push for regime change against recently re-elected Venezuelan caudillo Nicolás Maduro Moros. Maduro manages to draw protest crowds of similar size both supporting and opposing him to the streets of Caracas while Macron only manages to draw crowds opposing him to the streets of Paris. Today representatives of numerous neutral Latin American countries are meeting with diplomats from Europe and Venezuela in Montevideo for a series of meetings to engage in "diplomatic process", CIA Stooge and self declared 'interim President' Juan Guiadó has refused to participate in diplomacy. Numerous media outlets over the weekend began making a scandal out of Pope Francis's (Jesuit from Argentina) habit of extending mercy to high ranking officials of the Roman Church who themselves showed mercy to child molesters in their charge. Muted forms of this accusation have plagued Popes since the 1990's, but Francis finds himself in a vulnerable position after himself molesting the Roman Church and injecting it with more new poz than it has seen since the Vatican II debacle. While it is too soon to predict an early end to the Argentine one-lunged wonder's papacy, this is the first time the mainstream pozz'd press has been pushed to criticize the man they once dubbed "Cool Pope" for his embrace of cultural marxism. The crew of the ship Vos Thalassa has barricaded themselves on the bridge after a number of Africans rescued at sea began trying to seize control of the ship (archived). The commercial vessel rescued 60 African migrants at sea in the Libyan coast guard's area of responsibility. Being a commercial cargo vessel and not a vessel run by an organization dedicated to building a Nation of Africa in Europe, the cargo vessel issued its own distress call when the migrants took poorly to the prospect of being disembarked in Libya. Vos Thalassa is an Italian flagged offshore supply vessel currently supporting oil and gas operations for the French firm Total (archived). Earlier this week the new Italian Interior Minister closed all of the country's ports to a human trafficking vessel which intended to ferry more than 600 African clients from Libyan waters to Italy. Spain eventually decided to extend the vessel an invitation to offload its human cargo. Italian populist parties managed to find a finance minister capable of salvaging their effort at forming a coalition government after the Italian President sabotaged their earlier efforts (archived). After Italian and international fiat markets suffered this week in the wake of President Sergio Mattarella's affront to their democracy, the puppet former IMF head Mattarella appointed as interim Prime Minister happily resigned his mandate when Five Star and the League found an anti-Euro finance minister who hadn't actually proposed leaving the Eurozone in public yet.